Do you ever wonder what the future of self-driving cars looks like and how researchers are testing these new technologies? 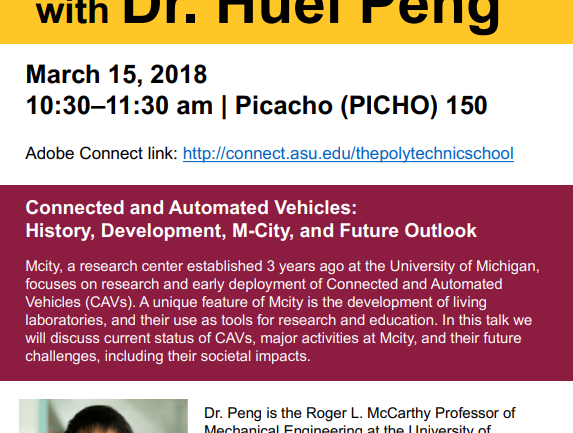 In this talk, Huei Peng discusses the current status of CAVs, major activities at Mcity and their future challenges, including their societal impacts. 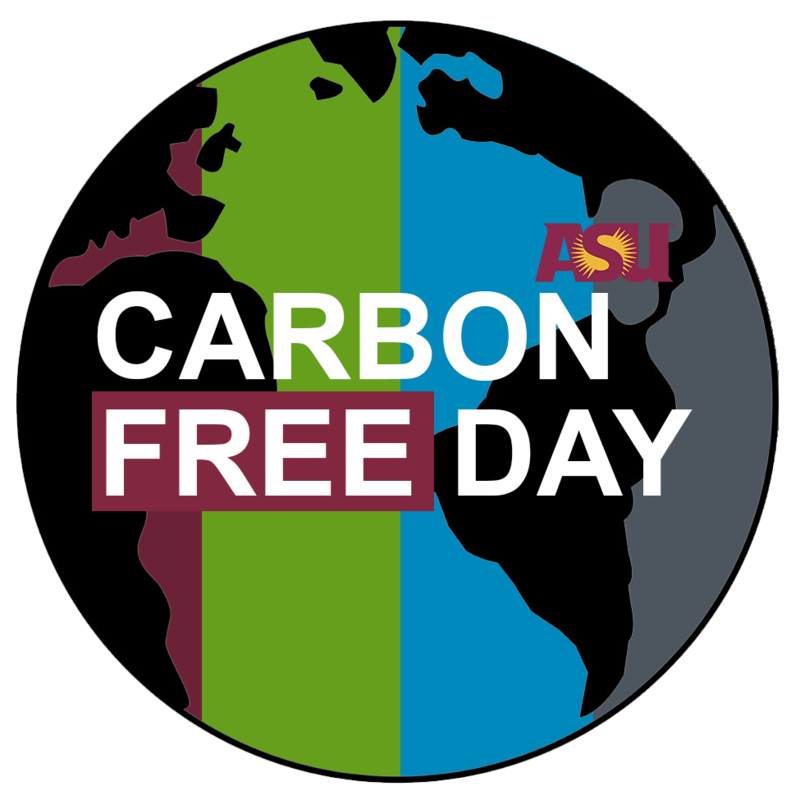 Mcity focuses on research and early deployment of Connected and Automated Vehicles (CAVs) and is a research center established at the University of Michigan. A unique feature of Mcity is the development of living laboratories and their use as tools for research and education. 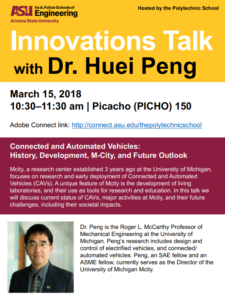 Dr. Peng is the Roger L. McCarthy Professor of Mechanical Engineering at the University of Michigan. 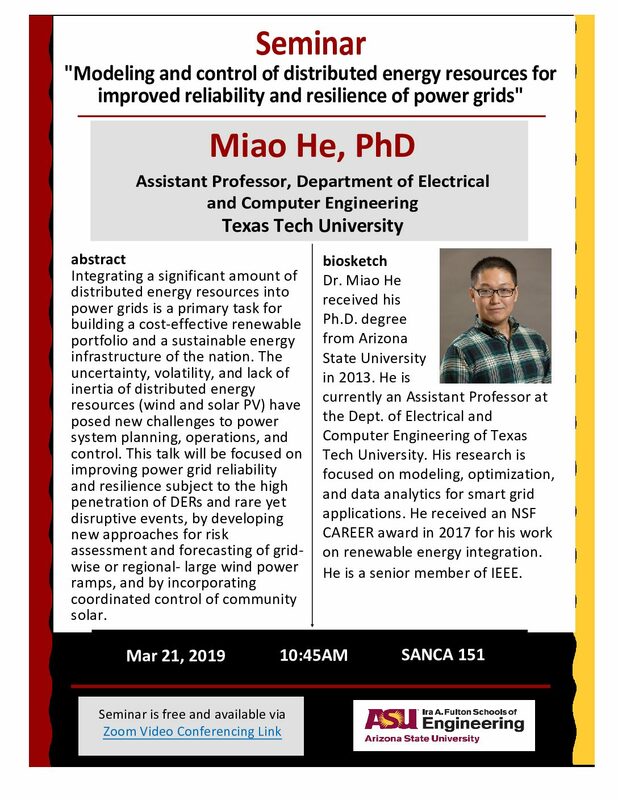 Peng’s research includes design and control of electrified vehiclesand connected/ automated vehicles. 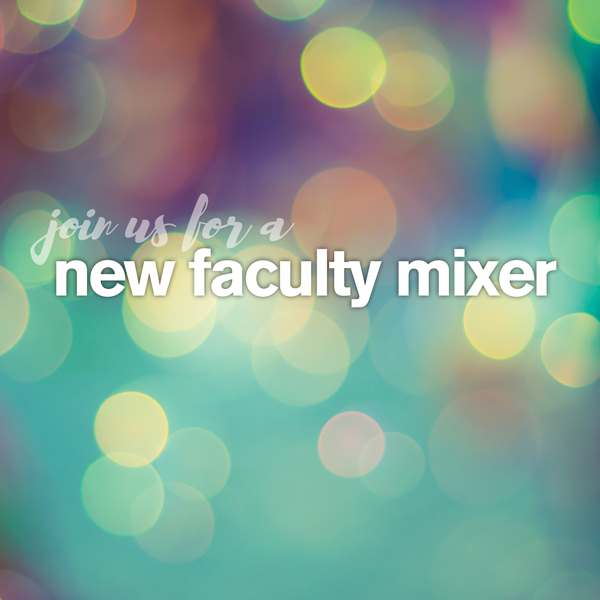 Peng, an SAE fellow and an ASME fellow, currently serves as the Director of the University of Michigan Mcity.